OSEP Welcomes You to the New Year! TOP NEWS: OSEP Releases 618 Data Files! FROM OSERS: New Transition Resource Guide! FROM THE FIELD: National Teacher of the Year Finalists Announced! OSEP has released 10 new data files on the IDEA Section 618 Data Products website! These include (1) SY 2015-16 Part B Child Count and Educational Environments; (2) SY 2014-15 Part B Personnel, (3) Exiting, (4) Discipline, (5) Assessment, and (6) Dispute Resolution; (7) FFY 2014/ SY 2014-15 LEA MOE Reduction and CEIS; (8) 2015-16 Part C Child Count and Settings; and (9) 2014-15 Part C Exiting and (10) Dispute Resolution. Data notes associated with the IDEA Section 618 data files. Finally, OSEP has released static tables associated with these data files. These static tables provide commonly used percentages associated with the IDEA Section 618 data. As a reminder, the IDEA Section 618 data are displayed and published in other user-friendly formats, such as the Annual Report to Congress; Part B State Data Displays; and Part C & 619 State Data Displays. If you have any questions, please contact us at osepIDEAdata@ed.gov. On February 1st, I was fortunate to participate in a collaborative meeting supporting principal leadership in ensuring equitable opportunities for every child, which was jointly sponsored by the 'Collaboration for Effective Educator Development, Accountability and Reform' (CEEDAR) Center and the Council of Chief State School Officers (CCSSO). This was an impressive gathering of OSEP- and Office of Elementary and Secondary Education- funded technical assistance (TA) centers and national organizations, who understand the critical role principals play in supporting teachers, and ultimately improving outcomes for all students, especially students with disabilities. During this full day meeting, TA center and national organization leaders discussed the recently released PSEL 2015 and Promoting Principal Leadership for the Success of Students with Disabilities, and identified current resources and future collaboration efforts to support States as they implement these standards. I commend all the participants and the folks at CEEDAR and CCSSO for raising awareness of the important role principals play in the education of students with disabilities, and for their ongoing commitment to leveraging their expertise and resources! OSEP's Monitoring and State Improvement Planning division is following up with States that were designated as targeted or intensive for one or more areas in their Differentiated Monitoring and Support (DMS) notices. OSEP is working collaboratively with States designated as intensive to plan monitoring and support activities that address areas of need. Although much of the work will be conducted virtually, there will be a few on-site visits scheduled to occur in the next several months. We are currently working with State staff to determine dates for those visits. If you have any feedback on the DMS process, please don't hesitate to send it to our DMSfeedback@ed.gov address. National TA Call: Correctional Education! OSEP’s next national technical assistance (TA) call is scheduled for February 9, 2017 and will focus on correctional education. 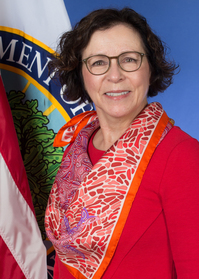 The call will provide State education agency staff and OSEP-funded TA providers with (1) more information about OSEP’s focus area of correctional education, (2) the data used in correctional education DMS designations, and (3) examples of activities OSEP may engage in to support States around correctional education. 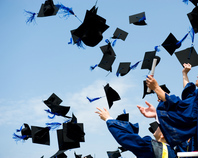 Conference line and WebEx information will be provided in an email notification and will also be posted to GRADS360. The Office of Special Education and Rehabilitative Services has published A Transition Guide to Postsecondary Education and Employment for Students and Youth with Disabilities. This guide advances our efforts in ensuring that all students and youth with disabilities are equipped with the skills and knowledge to be engaged in the 21st century workforce. Supporting decisions made by students and youth with disabilities. Use of Individuals with Disabilities Education Act (IDEA) Part B funds for preschool children with disabilities. Much of the information provided is reaffirming our guidance from the past, but we have included new clarification around definitions, data collection, and funding. This joint statement from the U.S. Departments of Education and Health and Human Services sets a vision for stronger partnerships, collaboration, and coordination between awardees of the Maternal, Infant, and Early Childhood Home Visiting Program (MIECHV) and the IDEA Part C Program, which provides early intervention services to children with disabilities, birth through age two, and their families. December 27, 2016: Letter to Copenhaver addresses whether the parent of a child with a disability may serve on the State Advisory Panel (SAP) if he or she resides in another State, and whether the State would be responsible for paying for the parent’s transportation costs if he or she served on the SAP. December 27, 2016: Letter to Marcus discusses whether IDEA obligates a school district to correspond with a parent’s attorney. December 27, 2016: Letter to Chambers discusses the obligation of local educational agencies (LEA) to provide transportation services to parentally-placed private school children to locations outside the LEA’s geographic boundaries, including across State lines. January 2, 2017: Letter to Anonymous addresses whether a parent may file a due process complaint against a State educational agency. January 18, 2017: Letter to Pugh provides guidance on the content of progress reports required under 34 CFR §300.320(a)(3)(i)-(ii) [which states that an IEP must include a description of (i) how annual goals will be measured, and (ii) when progress reports on the annual goals will be provided]. The letter also discusses how progress reports can and should address a transition-aged child’s progress on appropriate measurable postsecondary goals. For more information and access to previous policy letters, memos, and guidance from OSEP, please visit our policy webpage. OSEP Memos, Policy Letters, and Dear Colleague Letters are available online here. Deadline for transmittal of applications: March 6, 2017. Upcoming deadline for transmittal of applications for CFDA 84.325D and CFDA 84.328C competitions: February 6, 2017. 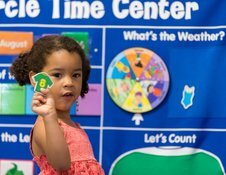 New Autism Modules from the IRIS Center! 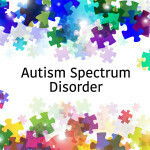 Autism Spectrum Disorder (Part 1): An Overview for Educators provides information on the early signs of autism spectrum disorder (ASD), as well as an overview of the difference between a medical diagnosis and an educational determination of ASD. Resources include notes on instructional considerations for teachers who have children and students with ASD in their classrooms, as well as things to keep in mind when working with the families of those children and students. Autism Spectrum Disorder (Part 2): Evidence-Based Practices highlights strategies that have been shown to be effective in teaching appropriate behaviors and skills, and decreasing inappropriate behaviors with children and youth with ASD. It also explores several strategies that are particularly effective with young children, elementary and middle school students, and high school students. We're excited for the upcoming 2017 National Title I Conference, entitled Engagement Revolution! The National Title I Conference is focused on national Title I issues, and emphasizes the need to help every child succeed and achieve at high levels. Thousands of Title I practitioners from across the country attend the annual conference, participating in sessions which focus on instruction, leadership and policy. OSEP will be presenting at the conference with our colleagues in the Office of Elementary and Secondary Education. The Council of Chief State School Officers has announced 2017's finalists for National Teacher of the Year! Check out their website for more information on the prestigious award! Megan Gross of California is representing the special education world. She teaches in and advocates for inclusive settings; facilitates programs for students with disabilities to develop leadership skills and self-advocacy; and has developed presentations, curricular modifications, and toolkits which provide professional development for classroom educators and paraprofessionals, and increase student access to general education curriculum. Best of luck to all of the finalists!